Cushion with double pattern that can be changed with the swipe of a hand. 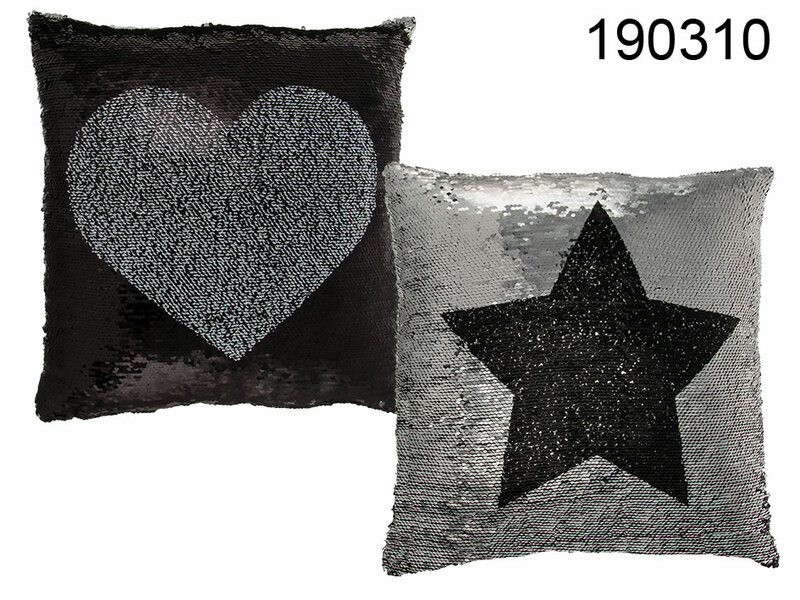 The reversible sequins form a silver heart on a black background or a black star on a silver background. Great room accessory that matches the majority of interiors. Amazing promotional item with multiple possibilities of use.